Despite grey winter skies, it’s never too early to start thinking about a new color scheme for the backyard or patio. Bright eye-catching fabrics have gained popularity over the years and can be seen not only in outdoor furniture but in the fashion industry as well. In a recent article, “Tangerine Tango,” a reddish orange, was named the color of the year by Pantone and only reaffirms the staying power of these bold new colors. 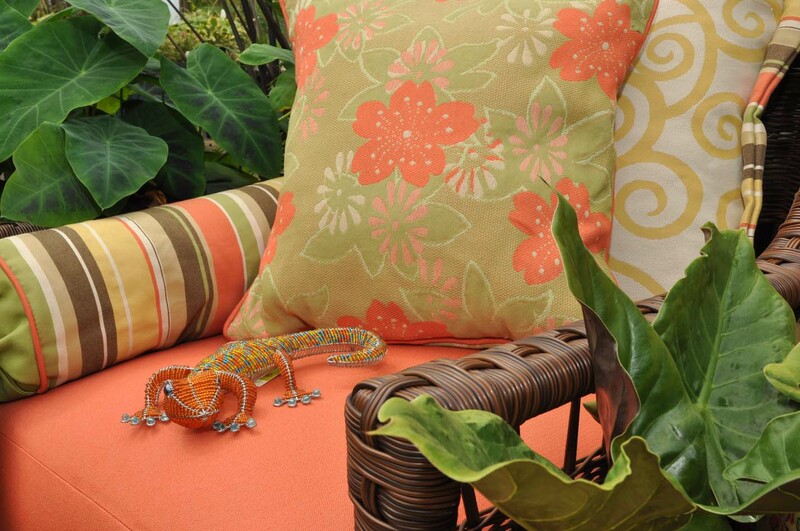 Glen Ravan/Sunbrella is one of leading manufacturers of outdoor patio fabric and continues to expand their collection with stand-out colors. Their Sedona collection includes colors like hot pink, orange and reds mixed with neutral colors creating a modern yet organic effect. 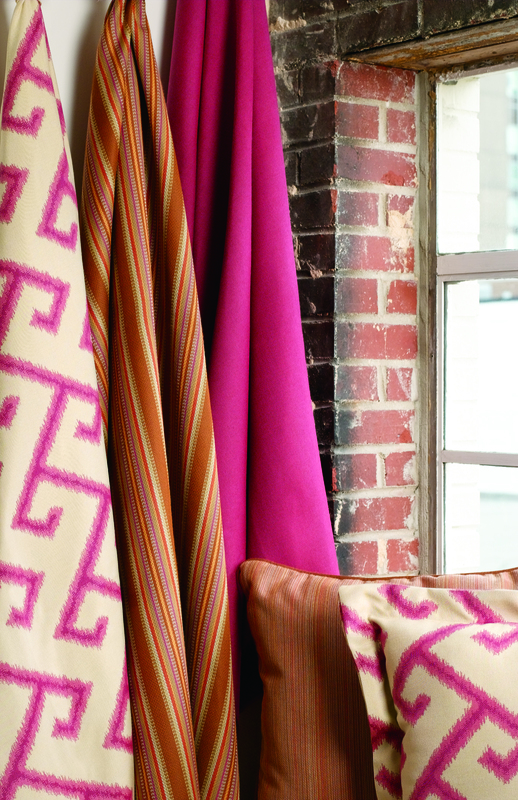 The Geobella line from Phifer combines reds, oranges, and pinks to create a beautiful, earth-friendly fabric that is soft and touchable, yet durable for the outdoors. Made from 100% olefin yarns recycled from postindustrial waste, the fabrics do not absorb water and dry quickly, making them mold and mildew resistant. Whether you embrace “Tangerine Tango” or not, bold lively colors can bring new life to a patio or backyard.